Alfred Lambremont Webre, JD, MEd is a futurist and author of Exopolitics: Politics, Government and Law in the Universe (available at http://www.UniverseBooks.com), a book that founded the field of Exopolitics — the science of relations among intelligent civilizations in the multi-verse. Exopolitics includes a case study of human contact with an advanced civilization on Mars. PERSON is a legal entity – a trust, corporation, partnership, association. Don’t be fooled by the attorney’s statutory word trickery if you see “natural person”. An adjective cannot change the root meaning of a word. Plain and simple, it is impossible to be a “person”. You are either a man or woman – a living being. A “person” is a dead entity and attorneys may only represent persons – commercial legal entities. PASSENGER is someone who pays a fare for passage on a commercial carrier – airplane, bus, taxi, limousine, cruise ship, train or trolley, rather than a “guest” who travels without charge or fee.It is necessary to go to the very root when looking at a complex problem. It is obvious that most politicians and their key staff are attorneys/lawyers, who are minions in servitude to the bankers. The simplest solution is to start removing the attorneys from office. “The real truth of the matter is, and you and I know, that a financial element in the large centers has owned the government of the U.S. since the days of Andrew Jackson. History depicts Andrew Jackson as the last truly honorable and incorruptible American president.” — President Franklin Delano Roosevelt, November 23, 1933 in a letter to Colonel Edward Mandell House.”… our system of credit is concentrated … in the hands of a few men .. a power so organized, so subtle, so watchful, so interlocked, so complete, so pervasive, that [we had] better not speak above [our] breath when [we] speak in condemnation of it … We have come to be … completely controlled … by … small groups of dominant men.” — President Woodrow Wilson. One, known as Steven, Æ spiritual Living Being having a human experience. One lives “life in this realm” intentionally and loves, honors and respects all Universal beings as One. He does not have to prove the negative, rather One just needs to know to not get trapped with controlling words and jargon designed as such. One is not a person, not a subject or citizen nor has any allegiance to any country, State or States in contract, not a U.S. Citizen or National, not a civilian, not a resident, not a legal entity dolus trust, not an enemy combatant, and One is not a member of any Jural, political or religious society/body. Be it also known that “person” is a word of the Private Civil Law, and a “man” is a word of nature. I have had countless calls asking for more suggestions on how we can support our already compromised immune systems, as we are exposed daily to untold levels of radioactive elements that are now traveling world-wide. Due to our already highly polluted air, we now have a multi-pronged attack on our immune systems. We were never meant to be sponges for an assortment of highly hazardous and unregulated chemicals and nano-technology, genetically modified organisms, aerosolized Chemtrails, pesticides, and artificial and poisonous additives in our food supply. This has been going on for most of the twentieth century; and now laws, in place for decades to protect us, have been gutted. Secret political agendas and corporate profits continue to take priority over our well-being and safety. This has a long history in our corporate consumer-oriented society. For the first time in our recorded history, we have multiple and chronic illnesses caused by human intervention. Greed trumps everything else, when the world (gone amok) is filled with moral indifference and decrepitude, along with enormous governmental corruption. Here is a bit of background: Unstable atoms give off energy as their nuclei spontaneously decay. When this energy is a radioactive element [and there are many, each with a different half life] and sufficiently strong enough to actually dislodge electrons from other molecules or other atoms in its path, it actually can damage or kill any living tissue. This is called ionizing radiation; and it is this that is so deadly –especially for some radioactive elements that have a long half-life (such as Plutonium-239 with 24,000 years, and Uranium-235 with 700-million years). 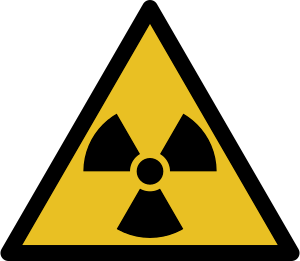 These and many more radioactive elements are continuing to come across the Pacific and hitting everything in North America, and then traveling to Europe and beyond. Nothing is even remotely fixed at the Fukushima Nuclear Reactors facility. On March 28, Florida and the Carolinas were reported to have rainwater and air with radioactive Iodine-131 [with a half life of 802 days]; and officials said: “there was no current threat to public safety.”(1) Another report on plutonium in the soil at Fukushima is here. Pouring sea water on the damaged reactors is worthless. The radioactive rods are so hot that the water turns to steam. Why has this not been reported? PLUS there are more than 600,000 spent fuel rods that have been collecting on the Fukushima Nuclear Reactor site for 40 years. This is a radioactive plague being unleashed! How many more weeks will this cover-up go on, while both the Japanese public and the rest of us are not being told the truth? The entire Japanese population already is in grave danger. All children are the most vulnerable to genetic damage done by radiation exposure. It can cause sterilization and radiation-induced cancer. Acute radiation exposure is now a fact for millions of Japanese. The rest of the world is not immune to this contamination. As I have written in my book, “The Uterine Crisis”: “invisible does not mean safe.” This, now planetary-wide crisis for all of us, is very grave. Yet, it remains invisible, not reported by a corporate-controlled media, and thus off most peoples’ radar. It is criminal what is being covered up! Excuses equal lies. I am sure most people do not realize the gravity of this on-going catastrophe, and the long-term implications for children and everyone else! Remember, our pets and all other living animals are also all at risk for radiation exposure. Plants, too, are being exposed to this radiation; thus, we have exposure to the entire food chain. We are at the top of this already very contaminated food chain. There is also the major financial part of this wrecked scenario. Food prices are already very high; and some staples have doubled in price over the last year or two. Predictions of crop shortages were already news over this past Winter. How does that connect with all Spring crops in North America with a probability of being planted in radioactive soil? Would this kind of contamination ever be reported? The US dollar is already manipulated green toilet paper. If you do any Spring planting, use organic seeds you may already have. Start them INDOORS, and keep them indoors. Place them near a window with sunlight. If you plant them in radioactive soil, they will be contaminated. Radiation kills. This is why birth rates are also down significantly in Japan, because subsequent generations of women (after the US bombs were horrifically dropped on innocent civilians in World War 2) have had difficulty conceiving. Over the last 25 years, sperm rates have dropped 50 percent (and not just in Japan). Women also have numerous reproductive illnesses that make conceiving no longer easy. If we ever collectively saw the photographs of these heartbreaking radioactive birth defects, the nuclear industry would immediately cease to exist. The nuclear industry, built on deception, doesn’t want us to see this. This is why Dr. Helen Caldicott and Dr. Rosalie Bertell’s life-long and courageous work on the extreme dangers of radiation is so vital! Please note these educational suggestions below are not cure-alls for radiation exposure. But it is important to support and protect your immune system, as best as possible. These are sensible precautions. If you are on any kind of pharmaceutical drug(s) or have health issues, please check first with your health care provider. Do not use food produced since about March 14 (the approximate date the radiation traveled to the Pacific West Coast), due to radioactive Strontium-90 [it has a half-life of 29 years] and other radioactive elements. For example, Cesium-137 [with a half life of 30 years] is chemically similar to potassium; and because of this, it can become metabolized in the body through foods, including dairy products. Do not use any fresh-grown or harvested produce, as the soil throughout the Pacific Northwest and elsewhere is now very probably radioactive. This, combined with the aerosol spraying of Chemtrails makes for a very toxic soil to grow anything. Organic whole foods are always a better choice than supplements (whenever possible), because the body absorbs and retains these foods in tissues far better. How can we have a safe food supply with such an abundance of poisons? Do NOT use any dairy products bought after about March 14. Do not eat junk food or anything containing aspartame (a toxic synthetic sweetener). Drink lots of steam-distilled water! If you have a reverse-osmosis filtering system, this is also beneficial. This process eliminates bacteria, viruses, pollutants, and many chemicals. Unpurified city water may contain unknown quantities of chlorine, fluoride, or other sources of contaminants. You can add flavoring to this water with 2 Tablespoons of raw apple cider vinegar per 1 gallon of steam-distilled water. Vinegar also helps with digestion. Elderberry Syrup (in a glass bottle) is a great support for the immune system. Elderberries are a terrific all-around “medicine chest.” Children under 12 could take 1/4 teaspoon daily for the next 2-3 months. Children under 6 could take 1/8 teaspoon daily. It tastes delicious. The best oils to use are cold-pressed organic olive and safflower oils. Coconut oil is also good for cooking and can be used topically for the skin, to help with dry skin. Avoid other kinds of oils. Avocados and lemons help supply essential fatty acids that the body needs –again provided they are not contaminated! Find out where they were picked and when. Don’t shop on “automatic pilot” now. Do your homework and become an educated and informed citizen. Shoppers are not citizens. Lemon-honey-fresh ginger-root tea is good daily drink. Use 2-3 very thin slices of ginger root per cup of boiled, steam-distilled water. (Powdered ginger root also works, but fresh is better.) Add honey and lemon to taste. For children, serve it warm or room temperature. Lemons are also a delicious way to flavor steam-distilled water and help with digestion. Organic bee pollen (again check about the harvest date) is anti-microbial and has vitamins B and C, calcium, potassium, magnesium, enzymes, and plant sterols. It helps with stress, fatigue, and is a tremendous support for the immune system. Buckwheat flour (for those who are not wheat intolerant) has rutin, and this also helps protect against radiation. EAT LOTS OF GARLIC daily! This is long known to protect the immune system. Tumeric is also a good anti-inflammatory and a great spice to use regularly in cooking. Medicinal organic mushrooms (picked before March 14, or dried): maitaki (a marvelous adaptogen, and it has been shown to inhibit cancerous growth), shitaki, trumpet, morels, all are excellent. There might be good dried ones available. Make the following: sauté 1 diced red and 1 diced yellow onion in organic, cold-pressed olive oil. Add diced mushrooms and mashed fresh garlic. Cook on low flame for about 10 minutes. Serve with pasta or over mashed potatoes. This helps support your immune system. Vitamin C daily with bioflavinoids [this helps with C absorption] and rutin: Adults: 2-3 grams daily. DO NOT USE any oranges, lemons, or grapefruit (or other citrus) coming from any US southern state, due to the Corexit dispersant spraying for months (over land, too), since the Gulf of Mexico oil-rig explosion in April 2010. No testing has been done to see about any very real synergistic interactions among this deadly dispersant (that has contaminated the entire Gulf of Mexico region), aerosolized Chemtrails toxins, and radiation. Vitamin B-Complex: For adults, 50 mg (max) of each of the major B vitamins (B-1, B-2, B-5 [called the “anti-stress” vitamin], B-6, and B-12) The B-Complex aids in supporting your body’s nerves, skin, eyes, mouth, liver, and hair to maintain their health. This also helps with anxiety; and this may be particular useful now with little information on the extreme gravity of exactly what invisible radioactive hazards we all face. Good sources of natural B include: burdock root (often found fresh), chamomile, raspberry leaves, brussels sprouts, broccoli, parsley, kelp [Atlantic and dried], watercress, dandelion greens, nuts, mushrooms, molasses, eggs, and rye flour. Vitamin-A with mixed carotenoids. This helps not just with night blindness but also various other eye problems. This is particularly useful now with the use of EDB [Ethylene dibromide, a highly poisonous chemical], the desiccant in Chemtrails. Vitamin A maintains healing of the skin, mucous membranes, and bone formation. Some carotenoids act as antioxidants (that aid in the prevention of cancer). Vitamin D: Due to a 20-percent drop in available sunlight, because of aerosolized blanketing of our poisoned skies, we are now running at a Vitamin D deficiency. 1,000 mg of Vitamin D-3 daily for adults is needed. Vitamin E: natural sources (gel caps most often come from Genetically Engineered sources) include: cold-pressed olive oil, seeds, nuts, whole grains, sweet potatoes, dandelion, nettles, and rosehips. Coenzyme Q-10. This helps prevent the body from absorbing radioactive materials. This is actually produced by our body’s tissues; and it helps support the immune system to prevent cardiovascular disease. Co-Q10 also has been used for decades by the Japanese for patients with cancer and leukemia (both epidemic since the US dropped the bombs on Hiroshima and Nagasaki during WW2). It also helps protect the heart. Kelp [Not from Pacific Ocean or Japan!] , 1,000 mg daily for adults; or a 1/2 teaspoon daily sprinkled on food. Here’s a post from two scientists. They still think it is a fixable scenario. IT IS NOT! However, the photos they have show clearly how dangerous this on-going catastrophe is. These are the best shots I have seen so far. This will go on not for weeks, but YEARS! As I have just written, this is far worse than Chernobyl! This global-wide crisis is of epic proportions. We no longer can leave decisions about our well-being and safety in the hands of politicians who are no longer working for us. It is time for us to join together peacefully and get accurate answers from independent people who don’t have any hidden and harmful agendas that make us all expendable for some corporate bottom line.